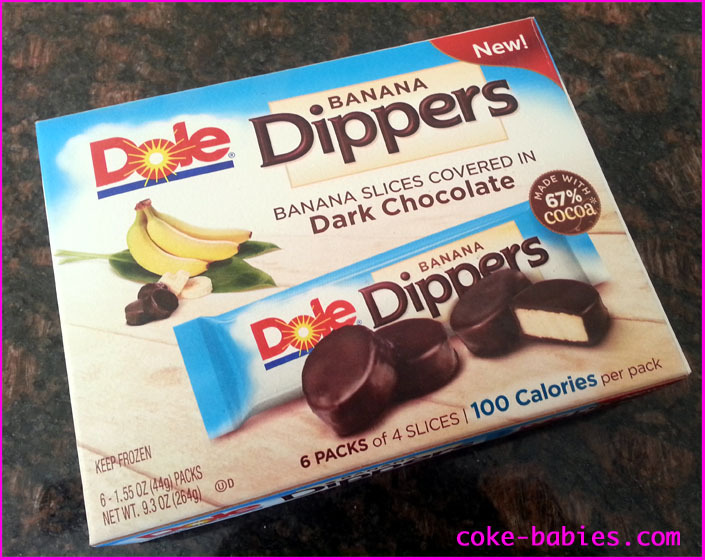 Dole Banana Dippers take one of the greatest foods in history, chocolate-covered bananas, and slice them up into bite-sized pieces. Although they’re more “bite-sized” if you eat like a savage. Otherwise, you can get a good eight to twelve budgeted bites out of the four pieces. Banana Dippers became especially important to me, as my heroin withdrawal-like symptoms were rising, from my lack of Disney bananas. As you will no doubt remember, chocolate-covered bananas ranked #2 on my list of Top Snacks at Walt Disney World. I’m just kidding, I’m sure you don’t remember that. But you can refresh your memory here. It should be noted, since I mentioned Disney World before, that Dole now makes chocolate-covered banana pieces you can eat at home, and also makes Dole Whips, which might literally be the best things in the world. So I guess Dole has now placed itself atop the list of Best Companies Ever. Any pre-packaged food will bring about cries from people – “You can just make these yourself!” I know I can. I don’t want to. 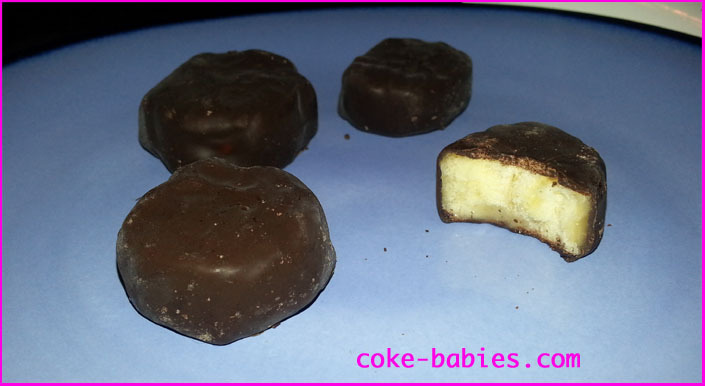 So if you would prefer to make your own chocolate-covered bananas, go ahead. For the rest of us cretins, we will continue to go about it the easy way. Jeez, this review is feeling rather antagonistic. Sorry. 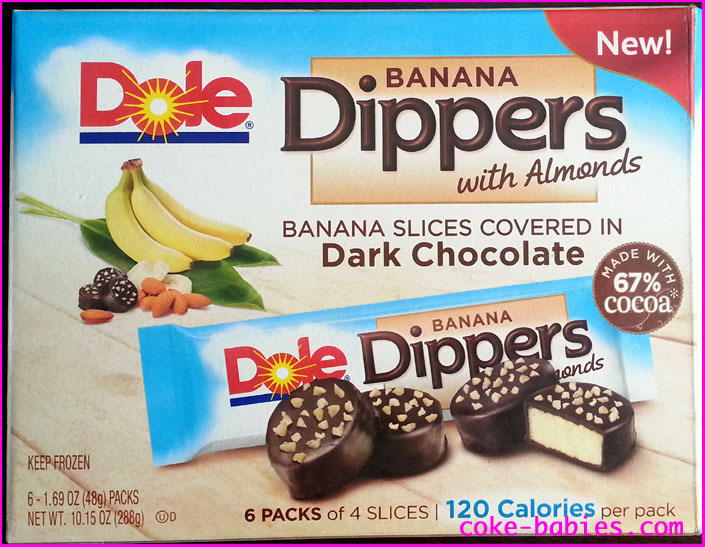 The Dippers are marketed as a cross-section of dessert, fruit, and 100 Calorie Packs. Each packet has four slices – not giant pieces, but maybe bigger than you might expect. They’re about the size of a quarter, although the slices are certainly not evenly-sized. But I suppose that’s to be expected with a product like this. If they were all exactly uniformly-sized, like a bunch of mini Peppermint Patties, that would be a bit off-putting for a “real” fruit product. Regarding the taste – they are fantastic. 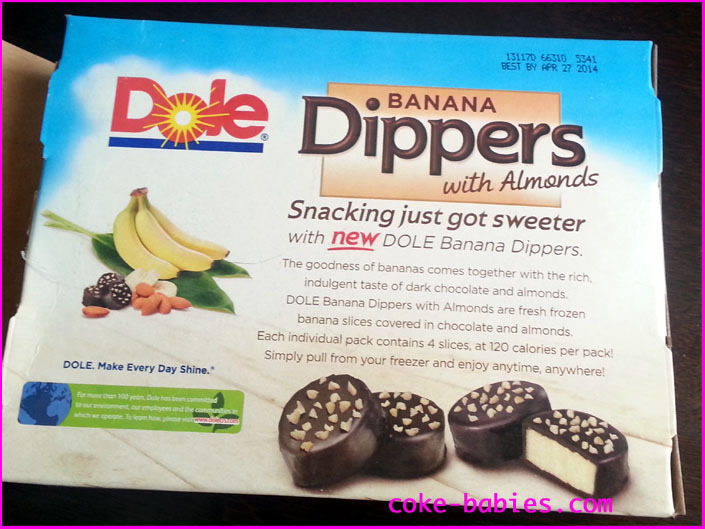 Dole was cool, and decided, “We are only doing these with dark chocolate.” Because dark chocolate is awesome. The chocolate is definitely a strong flavor here, and given that the chocolate to banana ratio is higher here than in a chocolate-covered banana, you might expect to taste nothing but chocolate. Thankfully, the banana flavor definitely comes through almost as strongly as the chocolate. It’s not a perfect balance, I’d say 60/40 chocolate to banana, but the ratio is good enough where you definitely get a hit of both flavors. The banana is a good consistency, as well. Sometimes the bananas are rock hard, and sometimes they’re just mushy. These are perfect – frozen but a little soft. The other variety of Chocolate Dippers has almonds on them. 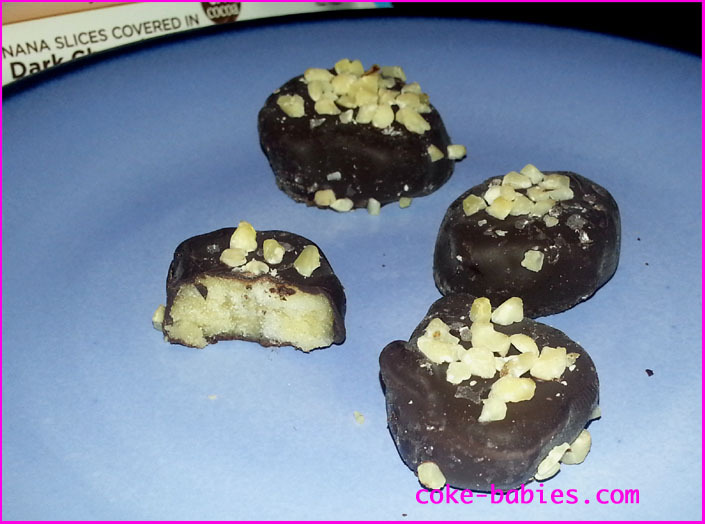 I was more excited for these, since the nuts on a chocolate-covered banana add a nice flavor to them. At this point, I’m wishing I just copied “chocolate-covered banana” and pasted it when necessary. Especially because half the time I’m adding an extra “na” to banana. The almonds don’t really add too much to the flavor, but the definitely don’t take anything away. You can see the uniformity of the almond placement on the box didn’t exactly translate to the real-world counterpart. When you read that you should have five servings of fruits and vegetables a day, I recommend making one of those servings a packet of Banana Dippers. Or just eat five packets, and you’re covered for that day’s fruits and vegetables. I assume that counts. Two of my favorite foods in the world are cereal and fruit snacks. For some reason, combining the two has never been, as far as I can recall, tried. Well, tried by a major cereal company. I’m sure some stoner has sat in his dorm and tried to stuff Fruity Pebbles inside a Gusher. Actually, now I’m wondering how that might taste. Aside from possible homemade attempts, we’ve never seen anything akin to “Frosted Krispies – Now With Fruit Wrinkles!” Kellogg’s saw this void in the market, and, pioneers that they are, tried to see just how well this marriage might work. I never think to buy Fruit Loops, despite enjoying them every time I do. I have some weird prejudice against ring cereals, it seems. Fruit Loops, Apple Jacks, Honey Nut Cheerios – all part of a persecuted group of cereals that I pass over as mediocre, then on the random times I do get them, they make the most of their opportunity and make me happy. But, there it is – the big “NEW!” at the top of the box. No way I can resist. 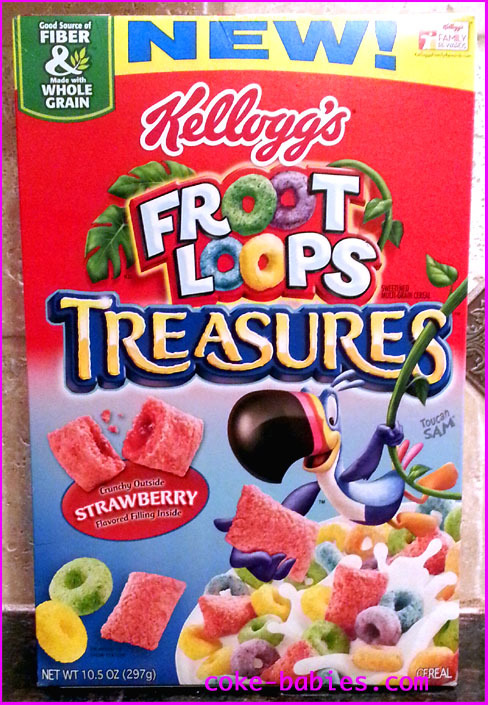 Based on the picture of the “treasure” piece (enlarged to show detail), I thought the pieces would almost be like a a fruit version of Krave cereal. Then I realized why this looked so familiar – Hidden Treasures cereal. 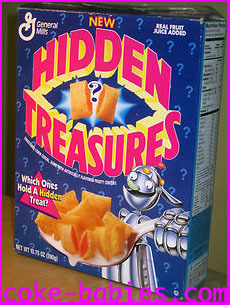 Hidden Treasures were a short-lived cereal, they were corn puffs that were either filled with grape, orange, cherry, or nothing. Apparently, this era was big on the concept of “kids love surprise flavors and colors!” This would explain the existence of Pop Qwiz microwave popcorn, where the whole novelty of it was you didn’t know what neon color the popcorn would be until you poured it out of the bag. The treasure pieces are significantly bigger than the loops, so given the different shape and size, I thought I was in for one of those uneven cereal-eating experiences. I tried one of the treasure pieces by itself, and it was… weird. It really does taste like a fruit snack shoved into a piece of cereal. Which isn’t bad, per se, it’s just unusual. The chewiness was certainly unexpected – I thought it would be more of a jelly-like consistency. However, when eating the cereal altogether, it works very well. The crunch of the cereal blends with the chewiness of the filling. What really helps is all of the loop pieces diluting the treasure pieces’ chewiness, so overall the crunch of the cereal kind of drowns out most of the strange chewiness. Taste-wise, it’s not too different than normal Froot Loops. Since the treasure pieces make up maybe 10% of the bowl, the strawberry fruit snack flavor doesn’t take over. 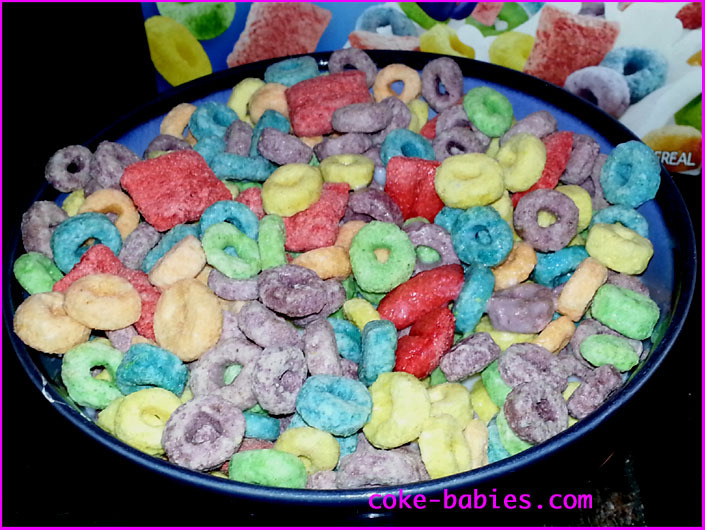 After finishing the cereal, I was reminded of possibly Froot Loops’s biggest flaw – not coloring the milk. For such a brightly colored cereal, it does nothing to the milk. The milk taste nice and sugary, but it would also be nice to have some artificial colors seep in there, as well.